Why everyone is attracted towards PMP Certification Training? Project Management Professional (PMP) training given by Institutes globally certifies the professional’s and employees who are capable of. PMP certification adds values to the professional’s profile and helps them to enhance their career life. 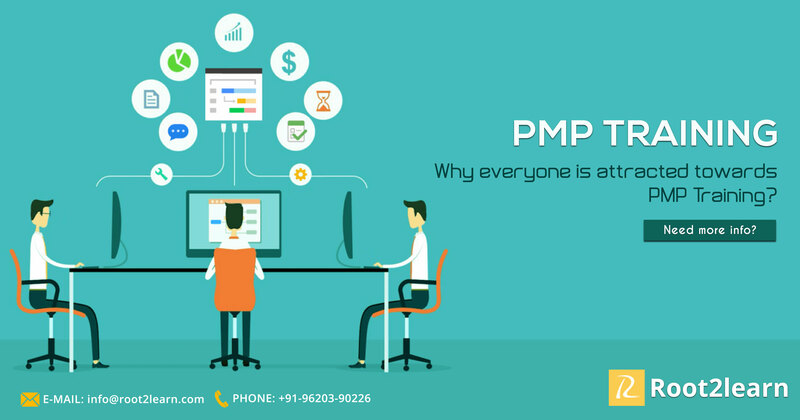 PMP training focuses mainly on some factors like betterment of profession, gain more knowledge, to attain the leading position, helps in risk management, etc. As PMP training is known worldwide, it is easy to undergo the training without any restrictions. PMP offers lots of features that attract most of the employees to attend PMP certification training. PMP training benefits the employees in many ways and helps them to handle all the risky issues. Cost for PMP training varies from place to place, but there is no much difference in price. There are some extraordinary features and benefits for the individual who completes their PMP training. When the professional undergoes PMP training, he/she will be able to handle all the risky issues which are too difficult to solve. Managing the team and projects are not that simple. Every project has different problems, and each issue will be unique. So the person who undergoes PMP certification training can easily handle the situations appropriately without any monetary loss. When the number of errors and problems reduces then automatically the number of projects and clients will increase. This helps the employee and the organization to develop more and more. Most of the people wish to appear single and well-known within the crowd. But it sometimes happens when our performance reaches heights. After the completion of PMP training, it will be easy for every employee in an organization to identify that single person. To say it easily, it provides industry recognition where everyone in the company will be able to identify that person. The beneficial factor is that PMP training supports the person financially. When the person completes PMP training, there will be a hike in salary, where the salary increases from 10 to 22 percentages. The salary hike reaches the peak when we compare with the other employees who work without PMP training. PMP training helps in focusing on different paths and different ways. After completing PMP training, it will be easy to move out for the top companies and helps to build the career path. It creates a good impact on the person and helps to enhance social network between the companies. The other important and noteworthy point in undergoing PMP certification training is that the person will be able to learn all the essential skills to overcome all the issues. All these essential skills help the person to find a new way to solve the problem. It creates more knowledge on fundamental management, its process, tools and techniques, and methodologies. This helps to earn more knowledge and improve their talent. By undergoing PMP training, we can easily learn more about scope management, time management, risk management and finally cost management. All these above features attract everyone and tend to undergo PMP training. PMP course helps a person in all aspects like gain in knowledge, creates financial strength, helps in risk management, helps to prepare good plans and procedures to undergo a project, etc. Not only have these features they also enhance PMP coursed with some more aspects.